Please email us directly if our phone line is numb or busy. Is the furniture in your home or business starting to look a little worse for wear? Before you spend the money to replace your much-loved items, you should reach out to the professionals at Cannon’s Specialized Upholstery Repair in Newton Highlands, MA. 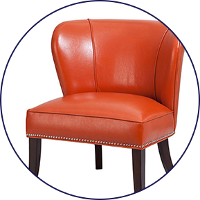 We specialize in providing on-site leather restoration and upholstery services to both residential as well as commercial customers. We redye and repair worn leather for your home or your business. Contact Us For Mobile Service. With more than 30 full years of field experience, the team at our upholstery repair shop is ready to restore damaged leather and upholstery in virtually any condition. Using the latest in 21st-century products, we specialize in restaurant booth upholstery repair and back everything up with a complete warranty. 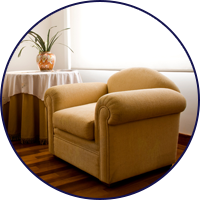 As an upholstery repair company, we perform on-site repair and re-coloration of faded and worn vinyl and leather. Do you need a size change? Maybe it is the design that needs an update? Thinking about an application change? None of these are a problem when you work with us. We specialize in custom modification and can give you the upgrades you want on-site and at an affordable price. 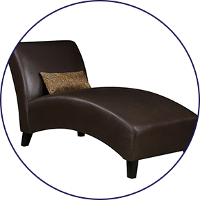 We perform 100% of the repairs and restoration work on your damaged and worn leather, restaurant booths, residential and commercial upholstery, leather furniture, and just about any other piece of furniture in your home. Reach out to our mobile on-site technicians today to learn more about our leather repair solutions. Contact us to schedule your mobile service or give us a call at (617) 795-0187. We look forward to providing our services to clients located throughout the Newton Highlands, Massachusetts, area, including those in Northern Rhode Island, Lower New Hampshire, and Western Massachusetts. Boston, MA all points west, south, and north.